Oyster sends volunteers all around the world throughout the year – even at Christmas. As we get closer to Christmas day, we are taking a break from present shopping and wrapping to explore how some of our partners abroad celebrate this time of the year! 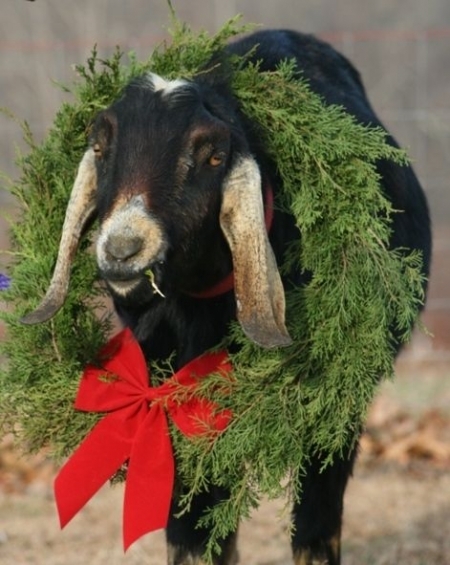 Australians often decorate their tree and put up a wreath just like us. The big difference is the weather, which means that their main meal is often on a barbecue at the beach. To mark the day, every state capital city will organise a huge Christmas pageant. 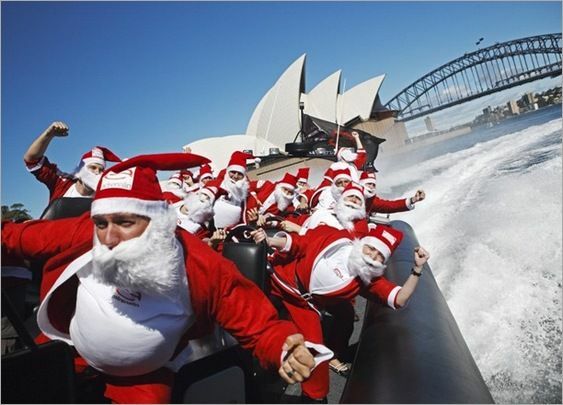 Not wanting to miss out on a cold Christmas – Australians also celebrate ‘Christmas in July’. This is an extra celebration during Australia’s coldest month. Father Christmas goes by Papai Noel and Bon Velhinho (good old man) in Brazil and he comes from Greenland, rather than the North Pole. Rather than the traditional fur hat and warm red coat, Papai Noel arrives in silk because of the heat. Rather than a mince pie, Brazilian children leave a sock by the window that Papai Noel takes in exchange for presents. Brazilians typically create nativity scenes, otherwise known as Presépio. Like us, the nativity is a story often told at this time of the year, but is called ‘The Shepherds’ and the main difference is that the shepherdesses attempt to kidnap the baby Jesus! Many Catholics attend midnight mass on Christmas Eve. There are many different Christmas traditions in Canada because different countries influence different areas. In many provinces, Christmas celebrations are very similar to the UK and USA. In French-speaking Canada, Christmas is celebrated on Christmas Eve and the traditional meal is a pig feet stew. Many in Canada believe that Santa lives in their country – a claim that many other countries, especially Finland, challenge. The trees grown in Nova Scotia tree are very popular and are one of Canada’s largest exports. Due to it’s location in the southern hemisphere, Chile is another country that is hot over the festive period. Chileans call Santa, ‘Viejito Pascuero’, meaning Old Man Christmas. As a predominantly religious country, many attend church for nine days before Christmas. This time is called Novena. The most important day for Chileans is Christmas Eve and people swap presents at midnight. The most popular festive drink is called ‘Cola de Mono’, meaning monkey’s tail. The drink is made of coffee, milk and liquor and served with cinnamon and sugar. Although Christmas is not an officially recognised holiday in Japan, celebrating it has become popular recently. Many Japanese treat it more as a time to spread happiness and to spend with loved ones. Many Japanese people give gifts on Christmas Eve and head to the cities to see the lights. On Christmas day, many Japanese people eat fried chicken. Fast food restaurants are often fully booked so people organise reservations in advance. 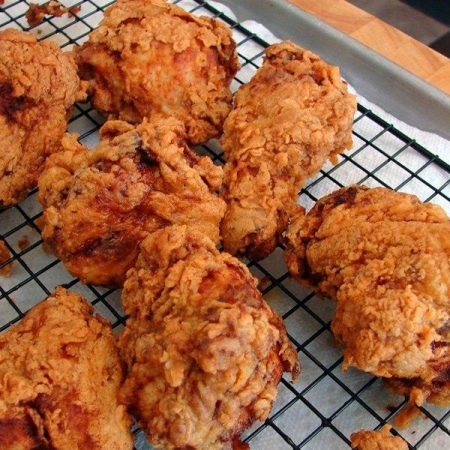 The popularity of fried chicken has been linked to clever advertising campaigns in the 1970s. Although Christmas celebrations and preparations begin on the 24th December, Romanian’s properly celebrate on Sfantul Nicolae’s Day, which is on the 6th December. The evening before, children make sure that their shoes are clean and then leave them at the door in the hope that Sfantul Nicolae will leave small gifts for them. Like other countries, carol singing is an important part of the season. The only difference is that in parts of Romania, a goat, or a person dressed as a goat accompanies the singers for onlookers’ amusement. Looking to get away this Christmas to see how other celebrate? Check out our website for travel ideas.